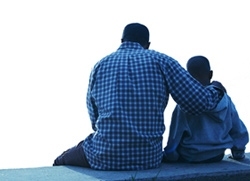 Mayor Rahm Emanuel and the Department of Family and Support Services (DFSS) announced the next steps to carry out a three year initiative to provide mentoring programs to 7,200 boys and young men in high crime neighborhoods. A Request for Proposal (RFP) that launched is seeking organizations with a strong presence in targeted communities to supplement the City’s comprehensive mentoring plan with out-of-school mentoring for male youth. An integral component of the administration’s public safety strategy announced earlier this year, the growth of the mentoring initiative through the RFP will complement a significant expansion in Chicago Public Schools through the Becoming A Man (BAM) program. The RFP is seeking providers to support boys and young men during out of school time, focusing on both active students and through supports to re-engage those boys and young men at risk of falling out of school system. To reach both, the RFP will look to community providers to address chronic absenteeism and truancy, as well as the socio-emotional and cognitive therapy. Applicants who meet the minimum qualifications will be asked to submit a full proposal starting January 25th, 2017. Part Two of the RFP process will ask more in-depth questions regarding program plans, experience and capacity, with winners announced in March 2017. DFSS will also host a webinar with University of Chicago Urban Labs, on December 13th for those who are interested in mentoring to answer any outstanding questions or further explain the criteria.